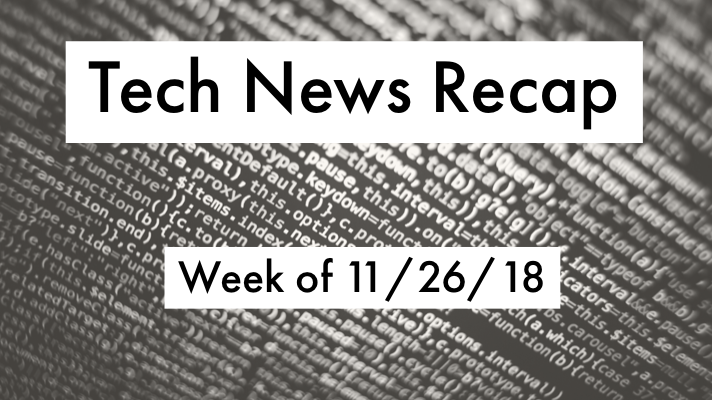 If you had a busy week in the office and need to catch up, here’s our tech news recap of articles you may have missed the week of 11/26/18! How Amazon and VMware are building one cloud for both platforms. Marriott announces massive data breach of over 500 million guests data. 6 mobile security threats you should take seriously in 2019. Inside the CISO role and more top news this week you may have missed! Remember, to stay up-to-date on the latest tech news throughout the week, follow @GreenPagesIT on Twitter. Apr 5, 2019 In "Tech News Recap", "Miscellaneous IT", "Tech News"